Last week we had one of our biggest teen events of the year: the Reading Marathon. Middle school students from all over Seattle participated in a day of reading, eating pizza, getting prizes, and more reading. Some of our teens even took the time to review the books they were reading for Push To Talk. You can read some of these below. 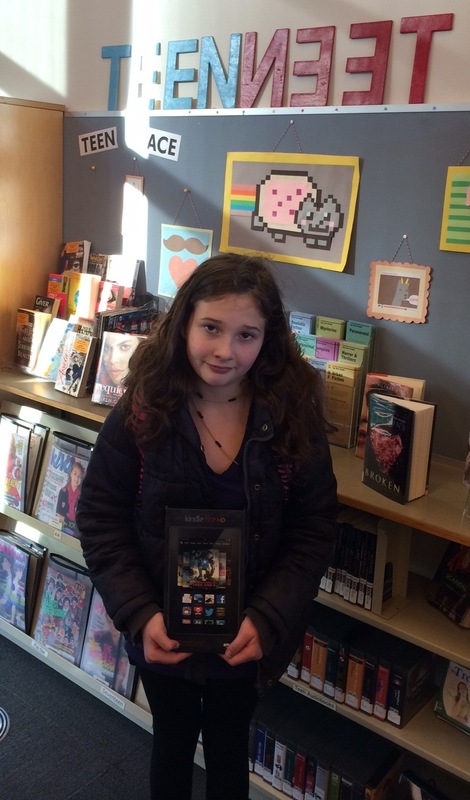 This entry was posted in Events, Teen Powered and tagged reading marathon, Teen Book Reviews on November 26, 2013 by Teen Blogger. Seattle Writes: NaNoWriMo Write-In @ Central, Level 3 5-8 pm. Are you writing a novel during National Novel Writing Month? By 11:59 p.m. on Nov. 14, you should have about 23,338 words… Breeze through your word count at the Library’s Write-In! Teen Space: Hunger Games Agility Challenge @ Southwest 2:30-4:30 pm. Do you have the skills to survive the Hunger Games like Katniss and Peeta? Test your reflexes, hand-eye coordination and balance with this series of minigames! This month, in addition to the usual Teen Space fun we’ll team up, pick districts, and work together to answer Hunger Games Trivia questions and complete a series of challenges that will test your agility, balance and logic. 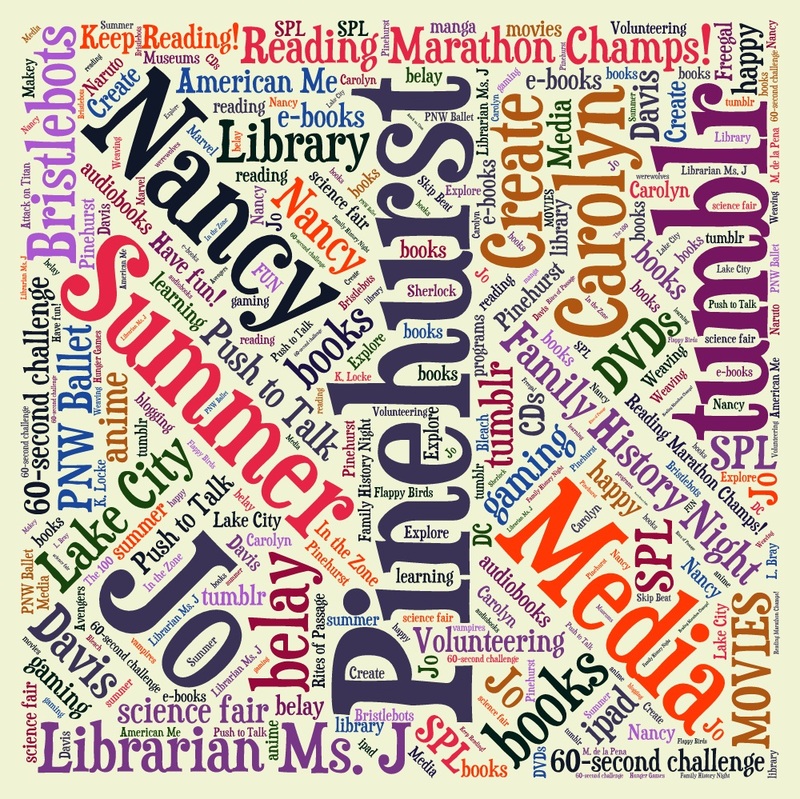 Reading Marathon @ Ballard, Douglass-Truth, Green Lake, Northgate, Rainier Beach, Southwest 11-5 pm. All students in sixth, seventh and eighth grade from Seattle public, private, or home schools are invited to compete in this reading marathon. Win prizes for each hour you read during the Reading Marathon at six locations of The Seattle Public Library. Read anything you want (books, e-books, magazines, comics, etc.) silently to yourself. Try reading all six hours to win a grand prize! The school with the most total reading hours gets a banner and bragging rights. Bring pillows or beanbags to make yourself comfy. Snacks and pizza will be served. LEGO Mania! @ Northgate 3:30-5:30 pm. Join us after school every Monday to play with LEGOs! Listen to music and create something super-fantastic from your own imagination. For all ages. This entry was posted in Events, Food and tagged books, events, Gaming, reading marathon on November 13, 2013 by pushtotalkteens. Reading Marathon is back, bigger than ever! 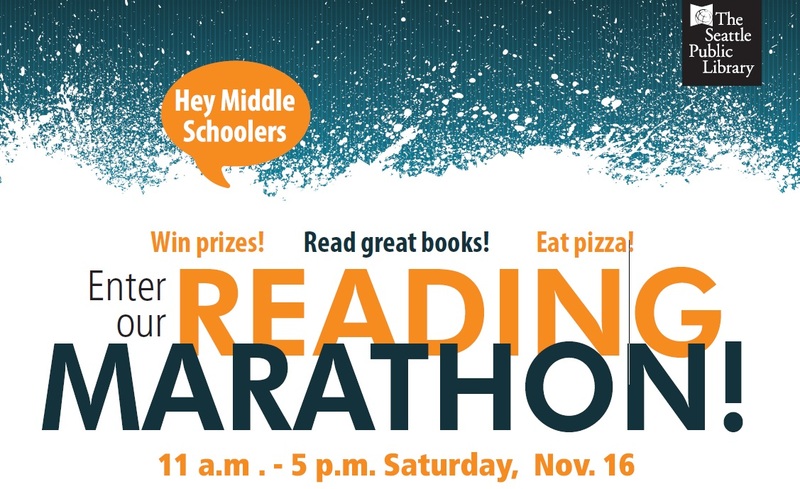 Read, eat and compete: the Reading Marathon for middle schoolers is on. Will your school be the reading champion of Seattle? 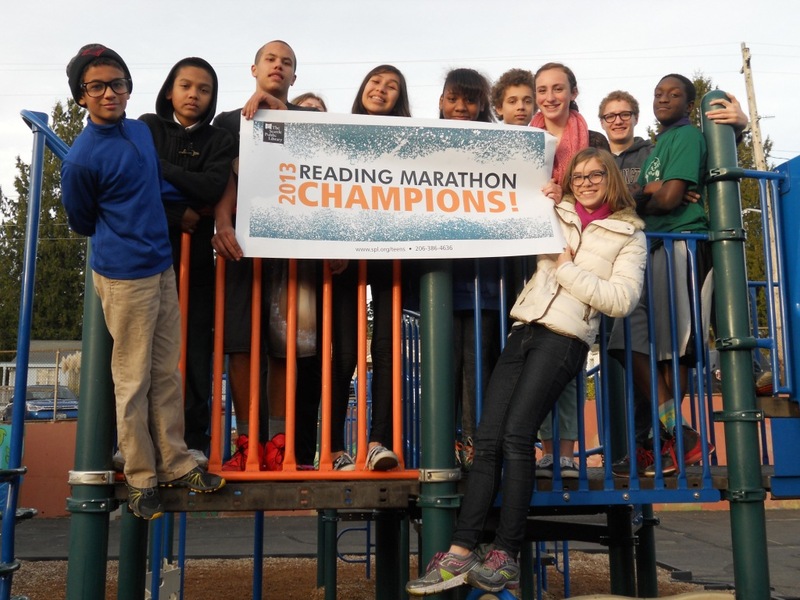 The middle school reading challenge, Reading Marathon, is back by popular demand! Middle schoolers eat pizza and snacks while reading at the Library. Students vie for the Grand Prize for their school by racking up and recording their reading minutes. Again, there will be pizza, snacks, beverages for all as well as fabulous prizes. Stay for a few minutes or all day. Students can bring reading materials (books, magazines, manga, etc) with them or find something at the library. You can check-in and read at any of the following libraries on Saturday! Scores will be tabulated to see which public Seattle middle school reads the most. Library events and programs are free and everyone is welcome, but only participating schools will count your attendance and reading times. Registration is not required. Get more information from your school, one of the libraries above, or by calling Quick Information @ 206.386.4636. This entry was posted in Community, Events, Food, Free Stuff, Libraries, Seattle and tagged Event, Libraries, literacy, reading, reading marathon, Seattle on January 27, 2012 by pushtotalkteens.